... and it's the original Viva Glam. 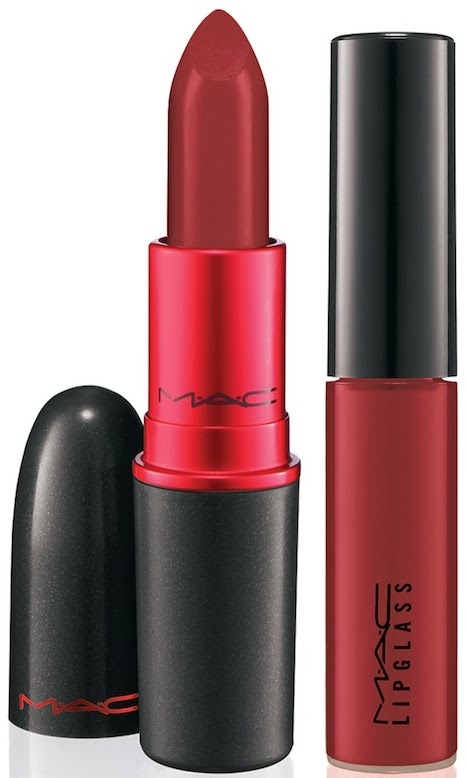 This was originally launched in 1994 and it (along with every other Viva Glam lipstick) have been available since, however this has been re-promoted for Autumn 2013 (it has been available since Sept 12th). 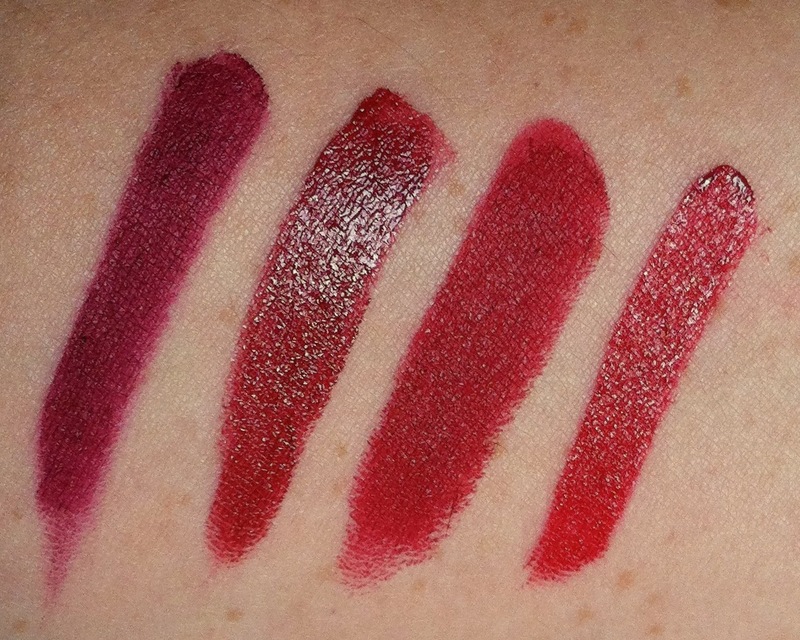 For the re-promote, the existing Satin formula is joined by a Lipglass version. 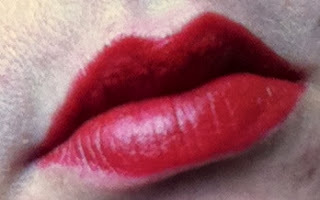 Viva Glam I is delish. It is a sophisticated red I think, perfect for the Autumn time. 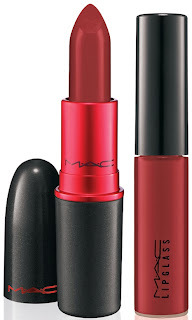 Personally I wear it lifted with a hint of NARS Mysterious Red in the very centre bottom lip, and I've got myself some perfect Autumn red lips (so perfect that every single person I met with while I've been wearing this for the last few days, wanted to know what it was). While I love matte finish lippies, I'm not the hugest fan of MAC Satin finish in general, but this one is not quite as drying as some of their other Satin offerings. Last-time on me is around the four hour mark, and yes, it does bleed a bit, and fade a bit (a liner, a few applications with some blotting in between each one helps with that). What I love about the Viva Glam range is that every single red cent of the selling price of every single Viva Glam lipstick shade sold in every MAC shop, store, concession, goes straight into the MAC AIDS Fund (registered UK charity number 1147222) to help women, men and children everywhere living with and affected by HIV and AIDS. Not just the profits. Nice one. So you can feel good about yourself when you buy it as well as when you wear it :-) Look here for more info on this lippie.